[INTERACTIVE PICTURE. CLICK THE DOTS] The Beauty Blender line of products. [INTERACTIVE PICTURE. 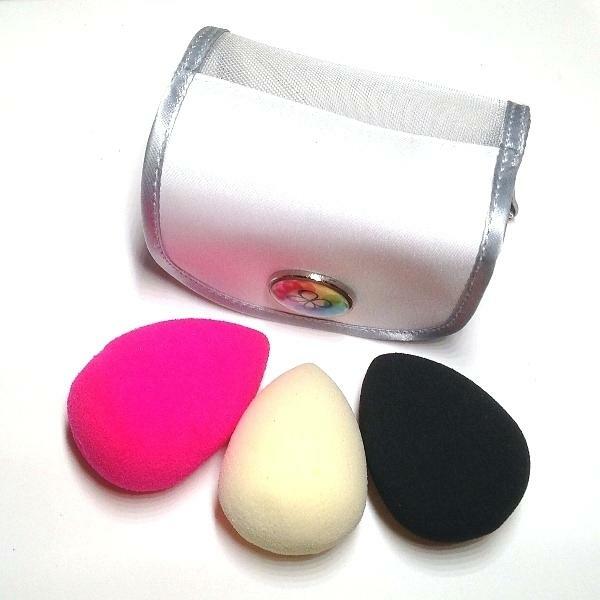 CLICK THE DOTS] The Original, Pro, and Pure Beauty Blender sponges. 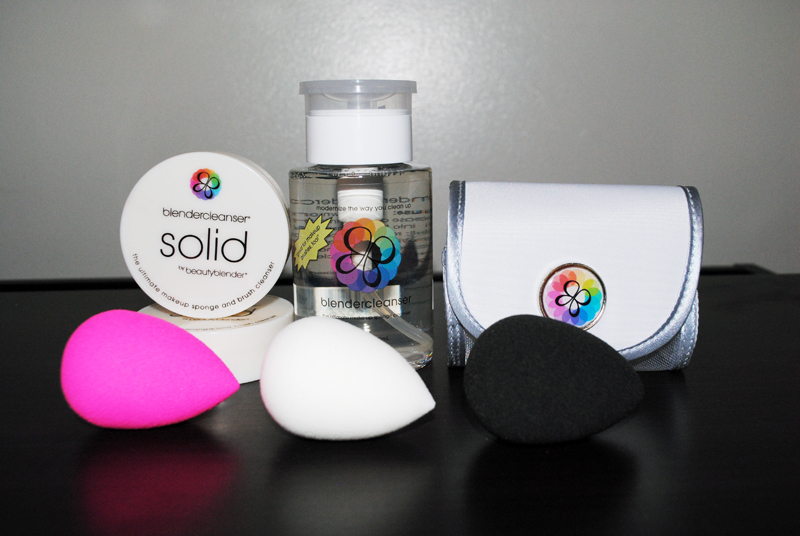 Beauty blender has two products on the market to help you keep your sponges clean: Liquid cleanser and solid cleanser. The liquid cleanser is the original one released for the sponges. It is very viscous (thick) and works well to get in the pores of the sponge to remove the makeup. Although it is a great cleaner, it was never my favorite because of the size of the bottle. As a makeup artist in New York City, keeping the size of my kit to a minium is a priority. Carrying around this clunky bottle was not an option for reasons of space. 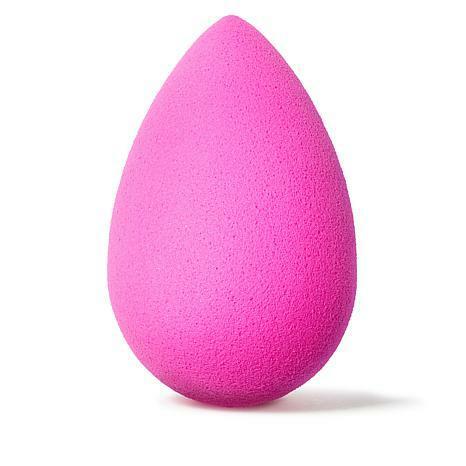 HOWEVER, Beauty Blender has answered my prayers and released a new, solid, version of their cleanser. 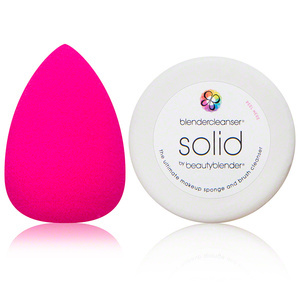 Now we have the solid Beauty Blender BlenderCleanser! I truly love this product. It is the ideal packaging for a makeup artist. The solid cleanser is a lavender-scented soap that you wet, then rub your sponge around in. The soap is about the size of the mouth of a cup and comes in a plastic container that has a small, removable, vented tray inside for the soap to sit on; allowing it to dry all the way around, without the soap becoming stuck inside the container. It only takes a few whirls of the sponge in the soap to get it saturated with product. The soap is a very efficient cleanser and leaves the sponge smelling great. I recommend this version if I had to choose between the liquid and the solid. It’s just more practical for me. The Beauty Blender Air.port storage case. Beauty Blender now offers a way for your to carry your sponges in style! They have invented a small, mesh-ventilated case for you to store your Beauty Blenders in while they dry. 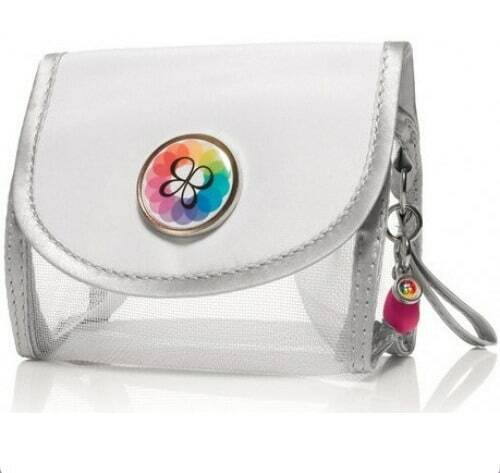 I love the cute details on the bag: It has a magnetic closure, vented sides, a small finger-carry strap, and a cute beauty blender charm. I was able to put all three of my beauty blenders in the case while they are dry, however, only one can fit in the case while it is wet. Is the the most practical storage solution for a professional who has multiple blenders to store? No. Is it perfect for an average person on the go, who needs a place to keep their sponge sanitary while it drys, and a grab-n-go solution while traveling? Yes. 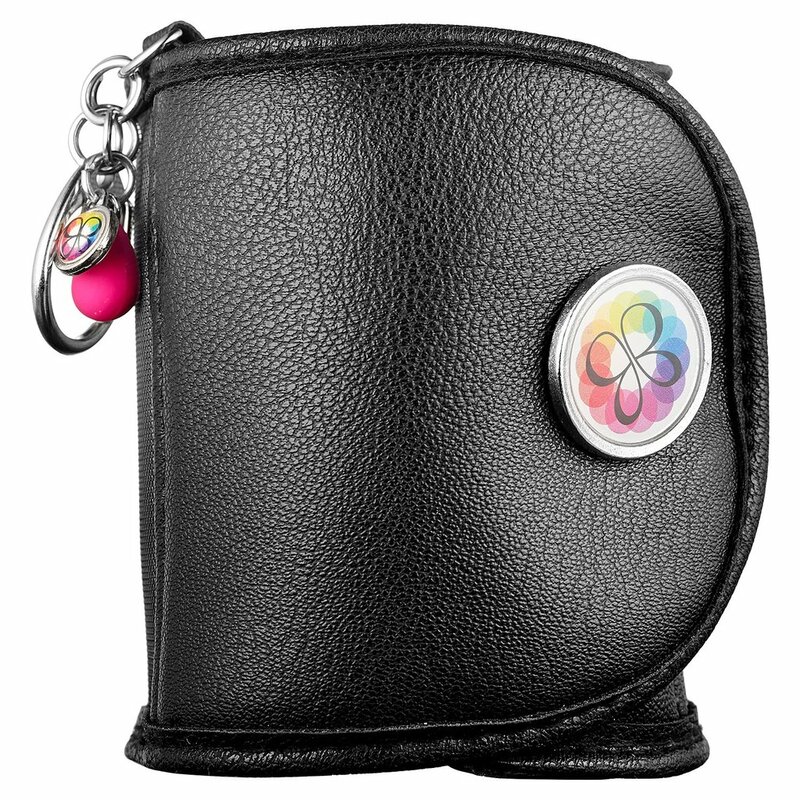 Front view of the Beauty Blender Air.port case. Top view of the Beauty Blender Air.port case. If you can’t tell after reading this post, then I will make it plain for you: I LOVE the Beauty Blender line of products. I highly suggest you giving their range a try. You can purchase these products directly through Beauty Blender [www.BeautyBlender.net] or at one of their many retail stockists [Click Here].